Flowers by Gabrielle is a full-service florist open Monday through Saturday for your everyday floral needs. We offer custom fresh flower arrangements that can be delivered throughout the metro Detroit area and the surrounding suburbs. Our shop is full of unique treasures and gift items, from fashionable personal accessories to beautiful home decor products. Stop by our shop to choose the perfect gift or give us a call and let our experienced sales staff help you to coordinate that perfect something. One of the greatest pleasures of our business is to provide spectacular flowers and decor for the special moments in our customers lives. From the most monumental celebrations to the most humble of occasions we can design the perfect event to fit your needs and budget. Our great attention to detail and going the extra mile to make your event perfect is what sets us apart from our competition. We have a wide array of rental inventory to dress up any venue and to express your unique personality and the theme of your event. We offer light coordination services to bring your vision to fruition. 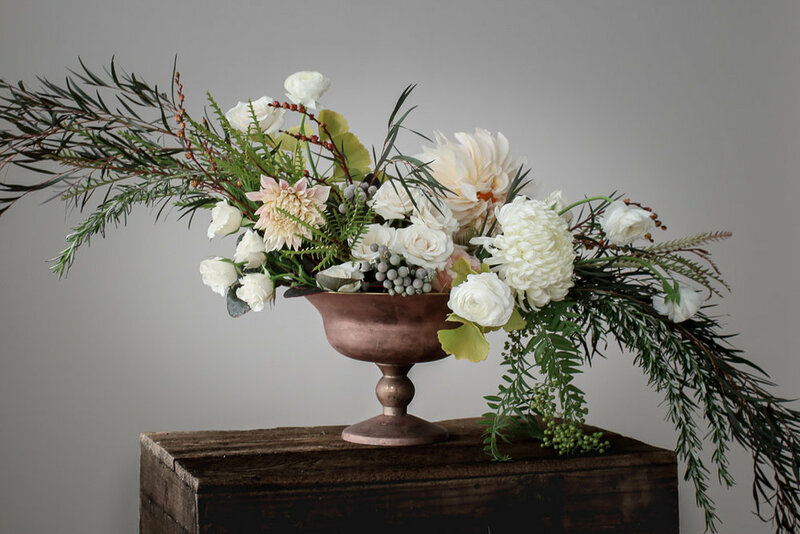 Flowers by Gabrielle offers full-service holiday decorating for your home or office. Our holiday work has been featured in Traditional Home magazine, Detroit Home, and Homestyle in the Detroit Free Press. Our experienced design professionals can transform your space into a holiday masterpiece. We will work with you on creating a custom look that fits into your existing decor with grace and ease. Let us dress your space and take the extra stress out of the holiday for you.